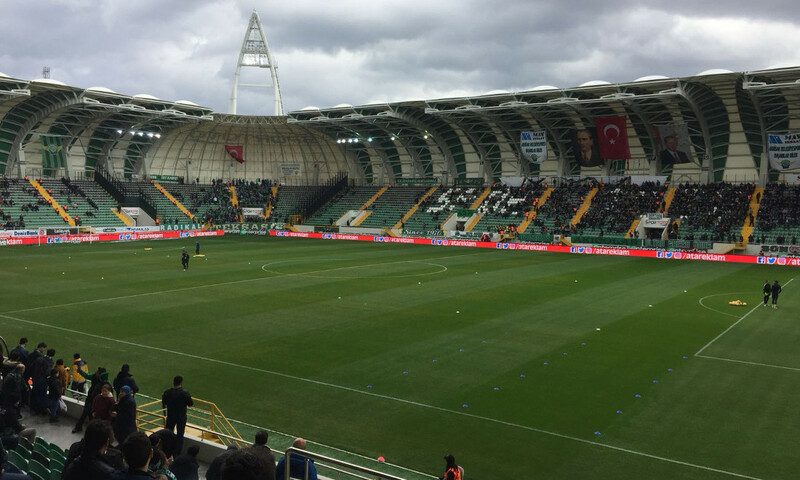 The Akhisar Arena, also known as Spor Toto Akhisar Stadium, is Akhisarspor’s recently opened new stadium. Construction of the stadium began in 2014 and was completed a little over three years later. 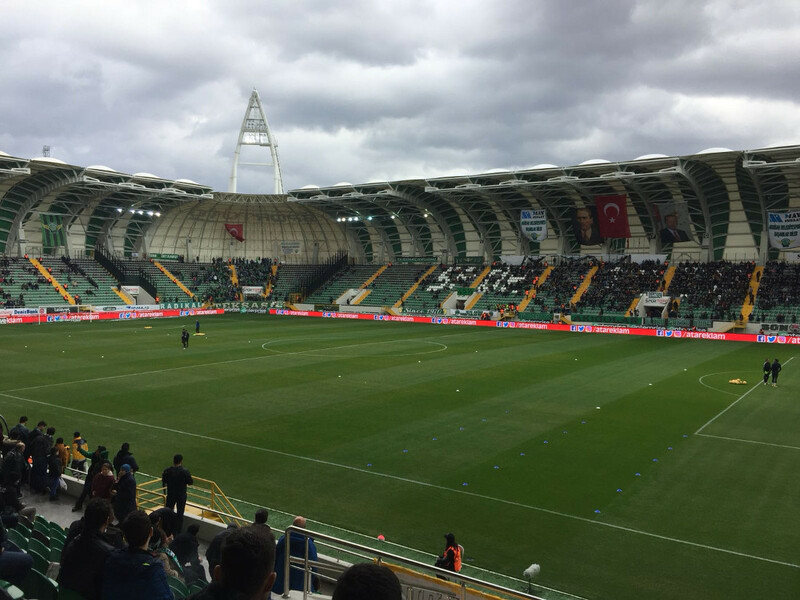 It officially opened on 28 January 2018 with a league match between Akhisarspor and Antalyaspor (1-1). The Akhisar Arena is located just west outside of the town of Akhisar at just over 2 kilometres from the town centre. It’s less than a half-an-hour walk from the centre to the stadium or enquire locally about bus routes. Akhisar’s train station, with (infrequent) service to Izmir, is located in Akhisar’s city centre. The bus station is located further north on the city’s main drag, just over 3 kilometres from the arena. The bus journey from Izmir takes about two hours. The Akhisar Arena is located outside of the city surrounded by farmlands. It lies adjacent to a residential area, a short walk away, but there is little around in terms of eating and drinking which is better done in central Akhisar. There are no hotels near the Akhisar Arena, and in fact few in the town of Akhisar that can be booked online. Click here for the options. Alternatively, if the match is at a convenient time, travel in and out from Izmir or Manisa, which are about 2 hours away. 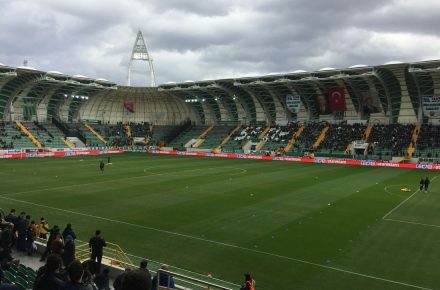 Tickets for Akhisarspor games can be bought online through Passolig or at the ticket booths at the stadium (though a Passolig card may be required). Expect to pay between 20.00 tl and 50.00 tl for a ticket.